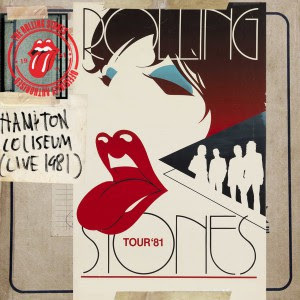 The Rolling Stones have a new offering from their archives: a 1981 concert from Hampton, Virginia. The Hampton show was one of the first ever pay-per-view events on television. As the latest addition to the Stones Archive, the concert has been remastered by Bob Clearmountain. The concert achieved notoriety when a fan invaded the stage during “(I Can't Get No) Satisfaction” heading towards Mick; Keith intervened by hitting the intruder with his Fender Telecaster. The 1981 show follows the band’s release of a 1973 concert last year - check out more info at the Stones Archive here.